If you have a WordPress website (and, let’s be honest, around 30% of businesses do), it’s time to say goodbye to WordPress problems! 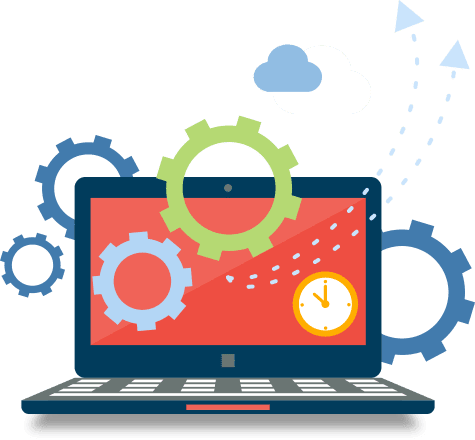 Let us take care of all of your WordPress and website maintenance so you can concentrate on the main aspects of your business. Maintaining your WordPress website plays a key role in the day-to-day running of your business and its success. Security scans – your security is so important. We can make sure your website has all of the latest security features for the most recent security risks. Site migration – we can deal with the migration of your website and ensure that it still keeps the same features and same SEO rankings. Troubleshooting – having problems with your WordPress site or website? Don’t know what the issues are? We can help with all of your troubleshooting. Dedicated time spent on creativity – this is our initial priority! We believe that our creativity is second to none and can really make a difference with how your website looks and functions when compared to other similar websites. Frequent minor page updates – these are so important to ensure the smooth running of your website on a daily basis. You don’t want potential customers being put off by a glitch site! Security updates – we value your security as much as we value our own. We will make sure your website is kept secure and that security updates happen as soon as they’re available. Plugin updates – your plugins can really make a difference to how your site functions. We make sure that they’re up to date. What do you get with our maintenance service? Just think how much better things would be with your own WordPress expert at your fingertips! Whether site security is your priority or you want to optimize your WordPress site to improve your business visibility, we can help you. Here at Next Generation, you can really trust us to know what we’re doing. All of our experts have years of experience in supporting businesses with WordPress. We have built and maintained hundreds of websites. What’s more, we know WordPress inside out. We understand why almost a 3rd of businesses use WordPress and we want to make it work for you. After all, it’s so customizable! This means we can tweak it for your exact business needs. The majority of business owners don’t have the time (or perhaps the patience!) to maintain their own website. We give you this time and do it for you. We will make sure all your website needs are met, that your site is updated and secure and that it actually performs well. At Next Generation, we do things differently. We believe in working as a partnership in order to get the most out of your site and your business. We’re here to supercharge your site so that it supercharges your business! What’s not to love?